Huge Savings Item! 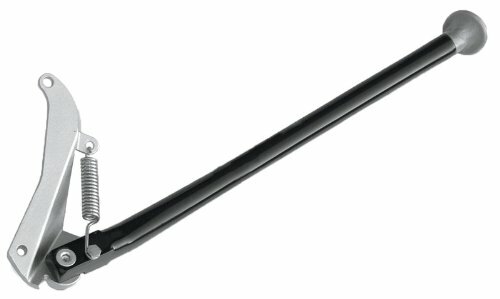 Save 13% on the Trail Tech 5400-00 Kickstand by Trail Tech at Chosen Hubs. MPN: 5400-00. Hurry! Limited time offer. Offer valid only while supplies last. Trail Tech kickstands mount to stock mounting points. Very strong and lightweight. Installation is easy. Go ahead - stand on the bike and kick it. View More In Kickstands & Jiffy Stands. Trail Tech kickstands mount to stock mounting points. Very strong and lightweight. Installation is easy. Go ahead - stand on the bike and kick it. Trail Tech kickstands are guaranteed to hold up to the riders weight. Will not interfere with the riders boots. Will not fall down or bounce. If you have any questions about this product by Trail Tech, contact us by completing and submitting the form below. If you are looking for a specif part number, please include it with your message.